A Meeting Planning Service at No Cost to You. Contract negotiations is perhaps the most scary & crucial element in meeting planning. Our Service is Free! How? Hotels worldwide compensate us to generate group business. That means we work for you to find the best hotels and negotiate the lowest prices for your meetings, at no cost to you. The Meeting Concierge was such a breath of fresh air to work with. I work with a lot of meeting planners and I have to say working with The Meeting Concierge was one of the easiest, fair, non-stressful negations that I have dealt with. They are very professional and kind. They understand the demand of market I work in as well as hotel and client needs. From the time the inquiry came in and through the negotiations, it was a very smooth process. I could tell that Nancy does everything in her power to ensure her client have a great deal and is protected. I look forward to working with them again! I was referred to Nancy and Leeann at The Meetings Concierge. They were so good at getting hotel availability spreadsheets to me that I got my Board to select a hotel within 3 days of getting the spreadsheets, and I was able to turn the contract (which included everything I asked for and then some) around within 4 days of receiving it. They are a joy to work with & I’ll sing their praises to everyone I know. I have worked for Kemper for nearly 19 years. I cannot say enough good things about “The Meetings Concierge”. Every time I was told I had to set up a meeting which could be from 25 to 75 people I always knew The Meetings Concierge would take care of all my needs. I always told my co-workers how blessed I was to have them. They took care of rooms, food whether I wanted full meals or just snacks. It did not matter. Whether I need a huge conference room or a room for 6 to have a special meeting, Nancy and Leeann were always my lifesavers. Thank you for all that you do! The Meetings Concierge is amazing. I got in contact with them exactly ONE WEEK before an event, and they found stellar hotels to choose from and options to fit our exact needs. Without their help I couldn’t have gotten it done! They are professional, timely, incredibly responsive, and an absolute joy to work with. 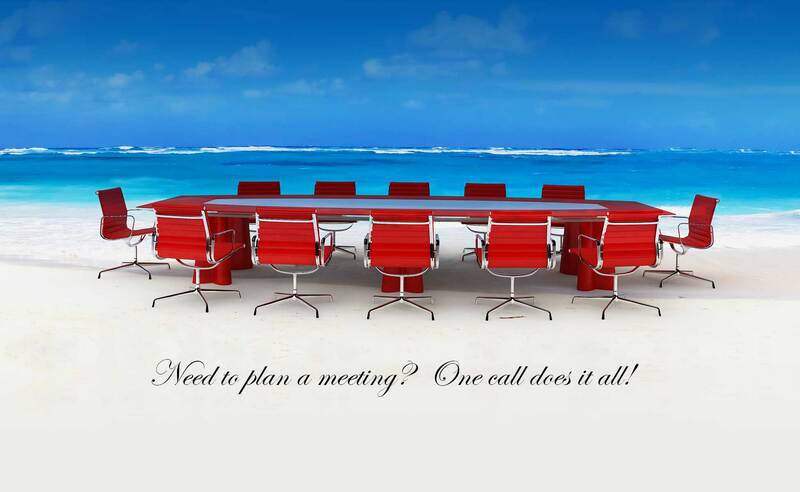 When you need a meeting planned contact them, and there is no cost for their service! Nancy is a true professional in all senses of the word. She is a joy to work with and made my job of planning an event so much easier. She is high energy, high integrity and gets the job done and well! It’s great to have her skills and knowledge for negotiating contracts and knowing what questions to ask to protect her clients. She is quick to respond to emails or calls and has such a “can do”, positive attitude. You can tell she loves what she does! The onsite hotel coordinator even told me how much he enjoyed working with her and what a positive experience it was for him. Nancy treats all parties with the utmost respect, but is firm when it comes to getting contracts adjusted and taking care of her clients. She has great ideas and is very thoughtful and thorough. Nancy provides such a great service, how could you not use her as a resource?! I would highly recommend her to anyone planning their event. Whether you have been planning meetings for years or if this is your first one, Nancy will make the whole experience a wonderful one. Nancy and Leeann are amazing to work with. They work all hours of the day and are truly genuine people to partner with. They take time to understand and fight for the needs of their customers and hotel partners which result in a win-win situation for everyone. They are experts in what they do and great people to work with. I highly recommend them for any of your event planning needs! I want to introduce you to Nancy Nachman and Leeann Philipsen, who are the Meetings Concierge (Nancy is the Founder). I use them for hotel research while planning the Strategic Partner Meeting. They research available hotels and negotiate terms, conditions and anything else we need! Best part is… we don’t pay them a dime (and they are amazing)! They retain a fee from the hotel. You’ve been a great help. My boss was skeptical at first, but I knew using your services for the hotel search was best decision. It made his life & my life a lot easier, especially setting up the site inspections. Stay close by my side as we want to maintain that comfort level we have with you both. Coming off of one of the most successful Sales Kickoffs of my career, I know without question it wouldn’t have been the same without Nancy’s guidance and expertise along the way. Nancy is a Saint and I don’t think the word “No” exists in her vocabulary – at least when it comes to her clients. We’re at times a fickle bunch, and The Meetings Concierge handled our (numerous) requests with grace and ease. Thank you, Nancy! I’d like to introduce you to Nancy Nachman. Nancy’s company is The Meetings Concierge (www.www.meetingsconcierge.com). She provides FABULOUS and FREE services to help you arrange corporate meetings at hotels all over the globe, ranging from small, private meetings to very large events & conferences. She recommends hotels based on your needs and negotiates the BEST price and contract terms, better than you can do on your own. Nancy helped me immensely at Vital/TSYS in planning our Client Xchange conferences as well as premium client incentive trips to exotic destinations like Costa Rica and Punta Mita, Mexico. I’m sure Nancy will always have some of the best hotel recommendations for you since she has traveled extensively and knows exactly how to find what you are looking for worldwide. And, she is super picky about any place she recommends in any price category. Working with Nancy has truly been incredible! Her passion and enthusiasm for her clients allow me to sell and deliver what’s most important for our guests, memorial experiences that will last a lifetime. She has a way about her that is so enjoyable to be around, she is filled with such infectious energy! I look forward to having the opportunity to partner with her on more programs in the future. Hi Ladies! I am smack dab between the two major client programs that you helped me book but I wanted to take a moment to thank you so much for the lovely chocolate covered strawberries and the thank you note! You two are phenomenal to work with and I’ll definitely be sending more your way in the future. Enjoy the rest of your week! All I can say is with The Meetings Concierge on our side I can’t imagine the hotel will get away with anything! Maybe in another life time you were any attorney? 😉 Thank you!!!! Really, I can’t say it enough! I “inherited” Nancy from a very demanding Executive Assistant who has since retired who had a reputation for being hard to please. She used Nancy for an event and was very pleased with the professionalism and personal touch Nancy gave her. I have since used Nancy for our offsite meetings for the President of Chevron Global Power and his direct reports. Needless to say these meetings must go smoothly and the success of the meeting reflects directly on me as the meeting coordinator, and the President’s Executive Assistant. We know that even well planned out events something is bound to go wrong yet Nancy is always there as your liaison and will come up with a solution. Nancy makes me successful. From the pre-planning phase – which includes the initial search for the meeting location, negotiations, logistics, and signing of the contract, Nancy is 100% involved in setting up site visits and providing her invaluable insight into which hotels will better fit your needs. Her attention to details and knowledge of hotel venues globally is invaluable. After the contract is signed Nancy assists with pre-planning issues such as meeting room logistics, sleeping room issues and catering menus. During the meeting Nancy checks with you to make sure all is going smoothly. She anticipates your needs and even though I may stress out from time to time, Nancy is always under control and quickly handles any problems I may have. Nancy is my saving grace. She makes my work so much easier and is always pleasant and professional and goes out of her way to help you have a successful event. WOW is all I can say. Nancy, thank you so much for everything!!!! You are so AWESOME!!!! I never want to lose you! Seriously, thank you so much Nancy. It means so much to me that even after the hotel contract is signed you are still available and so willing to offer your services… above and beyond! You are so awesome and I wouldn’t want to plan an event without your assistance! I’ve very rarely seen a meeting planner as knowledgeable about her client’s meeting as you are. It was above and beyond of you to send a photo of her so we would recognize her to name just one instance. You truly go above and beyond to take great care of your customers who must appreciate you so much. I love all of your personal touches! So! It is not often that I will publicly endorse a product or service, but I have to share an exceptional organization that helped me to orchestrate one of the more challenging team off-sites I have had to coordinate. I am networked with Meetings Concierge thru LinkedIn, and had not had an opportunity to work with them until recently. I have to say, their service, coordination, ideas, creativity, follow thru is impeccable and flawless. They get their revenue from the hotels for over-night stays, so if you are looking for someone to take the headache out of putting one of these events together for any event that requires an over-night stay for multiple guests, catering, AV, excursions, travel arrangements, etc. please contact them. Tell them the location you are thinking about and they will provide you with all the options. Even if the location changes, then changes again and again! They negotiate all of the contracts, room rates, and venues with the hotels/resorts for you. Even if you have an in-house event team, these guys rock it. Just sayin... Thank you again, for all the support, ideas, patience you, Nancy, and Leeann provided us - superb service, extraordinary, excellent... can't think of more words to express our gratitude. I should tell your boss what a great partner you are............okay, done. Thanks a million Nancy! As you are your own, boss, I tip my hat to you for always going the distance on behalf of your customers. This will be the first of many meetings that we work on together. Thank you so much for sending us this great meeting. You’re a true joy to work with and without any hesitation I will refer any of my clients to you. I know whoever tries your service will realize what a time saver and great hotel contract negotiator you are! You really saved your client a bunch of money on items you negotiated on their behalf. Most meeting planners don't dig as deep as you did and persevere to get us to come down on our pricing and contract terms. I had fun working everything out with you! I have had the pleasure of working with Nancy and Leeann since 2007 on various events, from a small intimate Board of Directors meeting to a large sales conference. They have consistently provided top notch service. From beginning to end, they are there for me and always go above and beyond my expectations. The incredible amount of time they save me from having to call multiple hotels, wait for a return call, setup a meeting, negotiate a contract, and have follow-up conversations is priceless. They send me a summary of the top hotels with the critical details I need to make an informed decision in a timely manner. Their wealth of experience and knowledge of the industry is unrivaled. They are focused, detail-oriented, and have my best interest in mind. I highly recommend The Meetings Concierge for any busy Executive Assistant/Meeting Planner who organizes meetings of any size and needs assistance with finding an ideal location, negotiating the most cost-effective contract, and executing a successful event in the most efficient way possible. The best part is their impeccable service is free! Is Your Event Planning Service Really Free of Charge? Yes, our Corporate Event and Meeting Planning Services won’t cost you a single penny. We are compensated by the hotels with whom we have a unique marketing relationship to help them generate group business. How Does Your Event Planning Service Work? We quickly provide you with a spreadsheet of hotel choices and meeting costs. We then set up your site inspection visits to be sure the hotels are right for your meeting. We will negotiate every meeting cost item to save your company money. Our service provides an enormous time saving factor as we do all the research & negotiating for you. Why Should I Use Your Event Planning Service? Event planning is a complicated and time-consuming process. Why not let our experienced professional corporate event planners handle all aspects of this stressful process? Enabling The Meetings Concierge to plan and negotiate your event contract will save you precious time and money. Can you work with any Hotel? Yes, we can work with any hotel globally to get you the best venue and pricing. Many years in hotel sales provided us the understanding of how the hotel industry operates. We know their secrets. Use us to your advantage. In our fast-paced world, we know time is valuable. The Meetings Concierge will carry the ball for you. It will take little time on your end to only provide us your meeting’s details. All the legwork is done on our end. How? Around the world and in every hotel company, hotel contracts differ; none are alike. We are known globally as skilled negotiators. Our buying power results in the lowest guest room rates possible, meeting space rental costs, food and beverage pricing, AV rental fees. Our knowledge of contract clauses will save your company money and prevent unnecessary spending. Being a meeting planning industry influencer, we are in business to make meeting planning easier. Relieve your stresses; if you plan meetings as your sole responsibility or one meeting a year, you’ll be so happy to have us on your side. Our staff is always available at your convenience. Take your easiest route to contact us, phone, text or email. Follow us on LinkedIn, Facebook and Twitter. Your inquiries are welcomed on how we can and will be your partner. Let us tell you how. Call, tap or click; you’ll be glad you did!